Many folks in the cannabis community are familiar with the terms indica and sativa, which have traditionally been used as descriptors for two different kinds of cannabis flower. However, this binary distinction is largely arbitrary and less reliable than we’d like to believe. Initially, this terminology was used to differentiate between the observable physical properties of cannabis plants, or the morphology. For example, “sativa” plants are usually taller, with narrow leaves, while “indica” plants have broader leaves and a stockier, more bush-like growth pattern. However, even this is a moot point, as most cannabis plants these days are hybrids, or combinations of both. This dualistic outlook falls apart further as we move from morphology to chemotype, the combination of chemical compounds that create each unique effect. Folks tend to associate “sativa” plants with uplifting effects, and “indica” plants with sedating effects. In reality, cannabis operates on a principle called the “entourage effect,” a concept that describes the infinite combinations of compounds resulting in each unique experience. 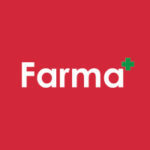 Here lies the reason for Farma’s characteristic color coding system, one that expresses a spectrum of effects rather than a binary. The scale extends from very uplifting to very sedating, with many nuances in between. In order to effectively classify our cannabis, we try to measure both cannabinoids and terpenes. Terpenes are the essential oils of the plant, and have much to do with cannabis’ effects, both medicinal and psychoactive. And yet, there is still much to learn about cannabis and its many compounds! We are coming closer with each day to a more full and reliable understanding of this remarkable plant and its benefits, and we are so excited. Tune in next time for a more in depth exploration of cannabinoids, terpenes and more!